These brown Sporran Hangers come in pairs and are great for our "medium" to "full figured" customers (anyone over a size 40" waist). They eliminate the need for the sporran chain, which can bunch up the front apron of the kilt and "underline the belly" of bigger guys. 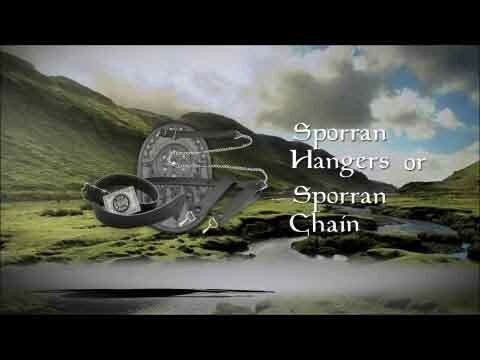 Sporran Hangers "hang" the sporran from the belt (at the proper height) and allow the sporran to hang freely, without disrupting the front apron of the kilt. Great, like all simple solutions for a perfect fit kilt sporran, in informal / semiformal dress. These are great for larger guys (waist over 42") and those whose belly hangs out a bit in the front. 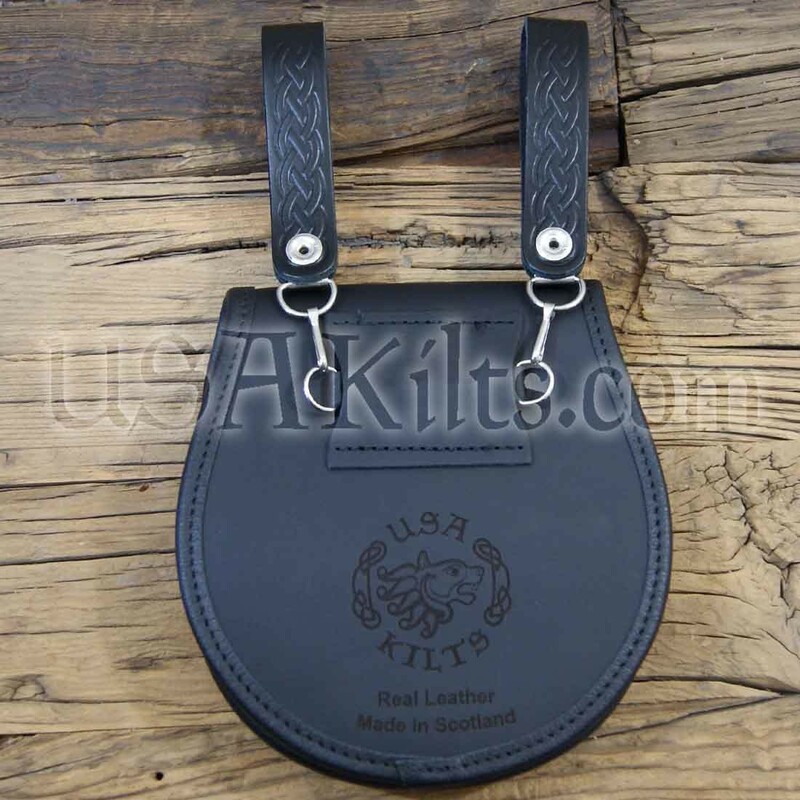 It eliminates the need for a sporran chain and allows the front apron of the kilt to hang flat across your front, instead of 'bunched up' by the sporran chain.